Got a barbell? Then let’s do something for your forearms. The barbell wrist curl is simple yet effective for tackling the wrist flexors. 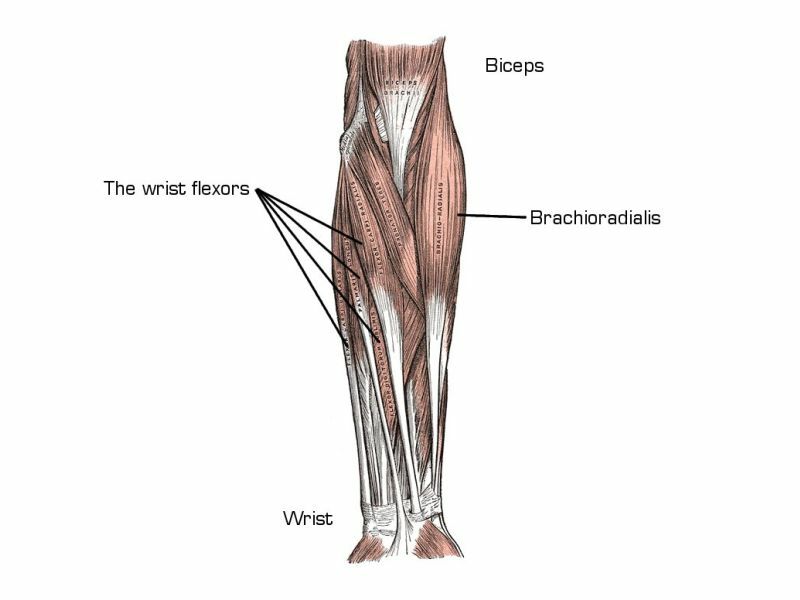 Let’s first discuss what muscles we are talking about, because when we look at our forearms, it’s hard to fathom how many of them there are. Your wrist flexors: a rowdy bunch. To keep everything in balance, you also need to work the muscles opposing the wrist flexors, the wrist extensors. As hinted, here is the video showing those. If you don’t have a barbell, no problem: I showed these exercises with dumbbells as part of a complete forearm training.